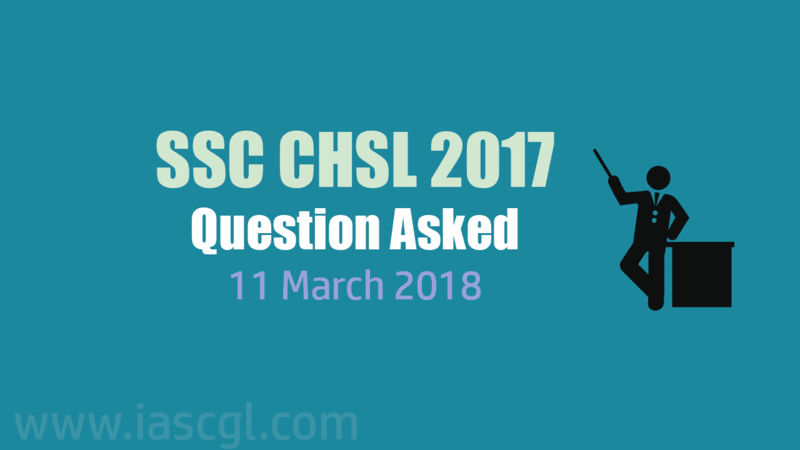 Question asked in SSC CHSL 2017 Tier I exam on 11 march 2018. Where is the headquarter of International Civil Aviation Organization located? ans. ⇒ Montréal, Canada. What is the active voice of – ‘Glass was broken.’ ans. ⇒ Somebody had broken the glass. Change the narration Socrates Said, “Virtue is its own reward”. ans. ⇒ Socrates said that virtue is its own reward.